Westworld’s robotic hosts are already plenty creepy, what with their imperfect approximations of human behavior (mixed with a strain of violent unpredictability that the show’s actual humans rarely see coming). 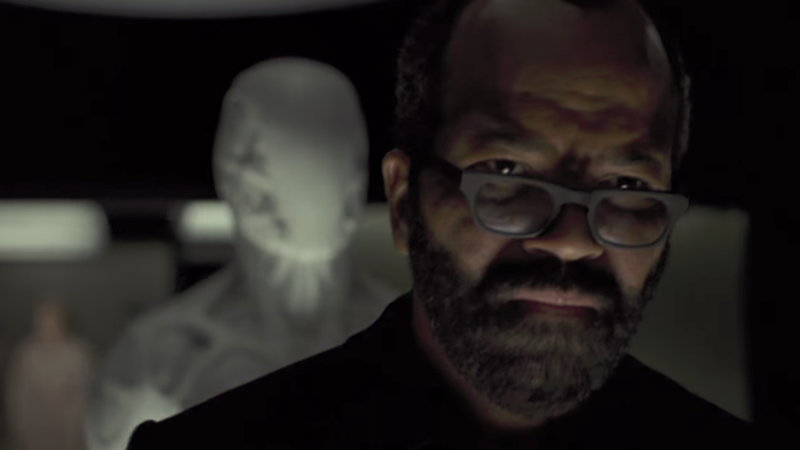 The show’s recent Super Bowl trailer for its second season introduced a whole new order of uncanny machine to the show’s synthetic universe, though, revealing a white-faced, plastic-looking monster thing lurking behind Jeffrey Wright’s Bernard, and later smashing some hapless Delos scientist against a wall. “Drone” has a lot of meanings in the modern technological context, of course. Are these hosts “drones” in the sense that they’re remote-controlled? (If so, by who?) Or do Nolan and Joy mean drone in the sense of eusocial insects, like bees? That raises the question: Who’s the queen? And what will her swarm do to Westworld when her hive is ultimately unleashed? Westworld returns for its second season on April 22.